Welcome to our shiny new blog! What a better time to launch this resource than during May - a month dedicated to raising awareness of what we do and who we help as Speech-Language Pathologists. What is a Speech-Language Pathologist (SLP)? When I introduce myself as an SLP, most people have questions. They may know an SLP who works in a school, but don’t realize that SLPs also work in hospitals, nursing homes, clinics, private practices, and even in people’s homes! Many people I meet have memories of seeing a Speech-Language Pathologist as a child, and assume that our sole job is to “fix lisps.” While we do treat speech sound disorders, including lisps, there are many other aspects of our field that I’d like to highlight. 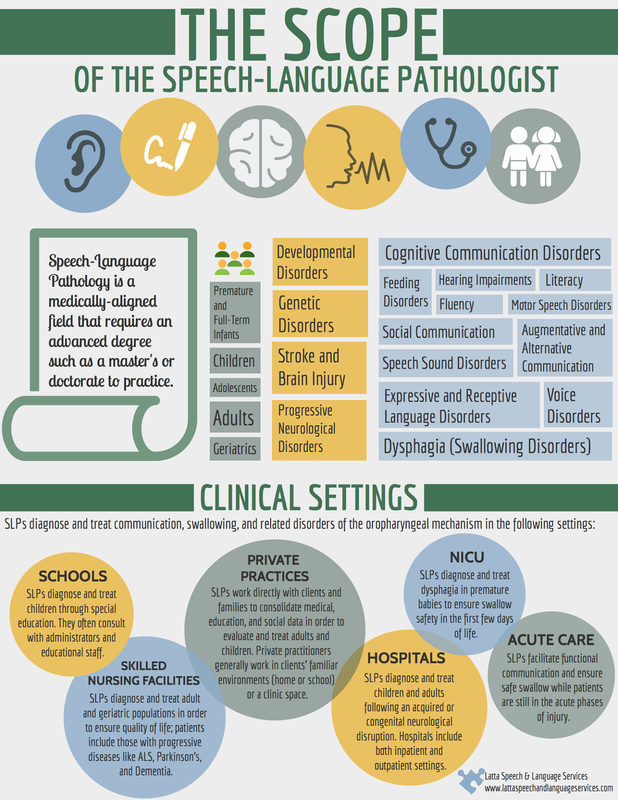 Speech-Language Pathologists hold a Master’s degree in Communication Sciences & Disorders. In graduate school, we study the diagnosis and treatment of a variety of communication disorders across the lifespan. At Lakeview Speech & Language Clinic, we focus on speech, language, and feeding disorders in toddlers, preschoolers, and school-aged children. Our therapists use fun songs, games, and activities to target individualized goals based on each child’s unique strengths and needs. In future posts, we will take a more in-depth look at each of these areas. Our goal is to provide information about typical and atypical development of communication and feeding skills, as well as give ideas for activities that parents and caregivers can use at home to enhance these skills. If you are concerned about your child’s speech, language, or feeding development, don’t hesitate to call for a complimentary 15-minute phone consultation. Additionally, we now offer a free speech and language screening program for local daycares and preschools!